These rustic country favor cakes will be the centerpiece of awe at your celebration. Our favor cakes can be made for many different size crowds. We can assemble them for you so that you can do other things or if you want to get together with friends and have a pre-celebration party, you can assemble them yourself. Prices are different for the different sizes and if you want them assembled or unassembled. 2 tier, single layer serves 43. 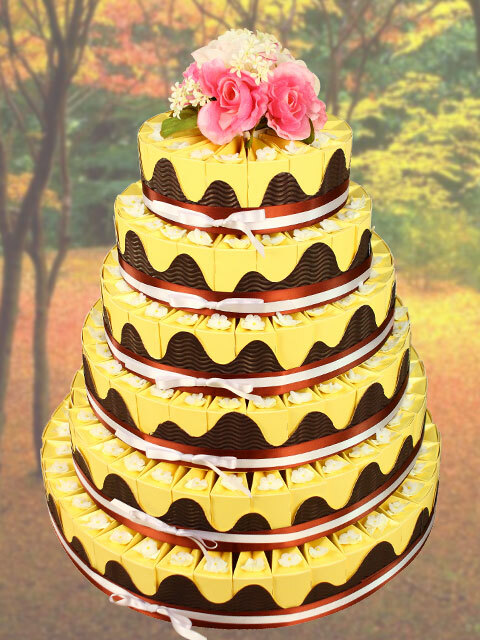 Size: 11" x 11" x 5" 3 tier, single layer serves 64. 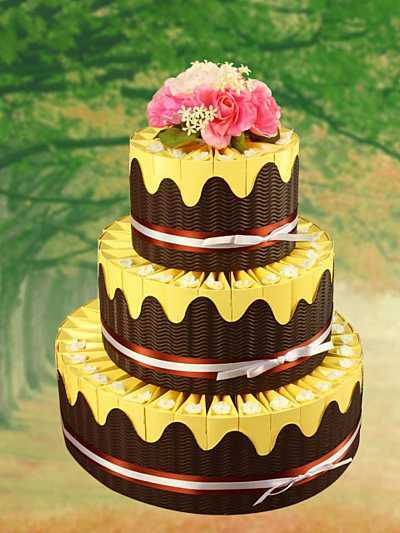 Size: 12" x 12" x 8" 4 tier, singler layer serves 94. Size: 14" x 14" x 10" 5 tier, single layer serves 128. 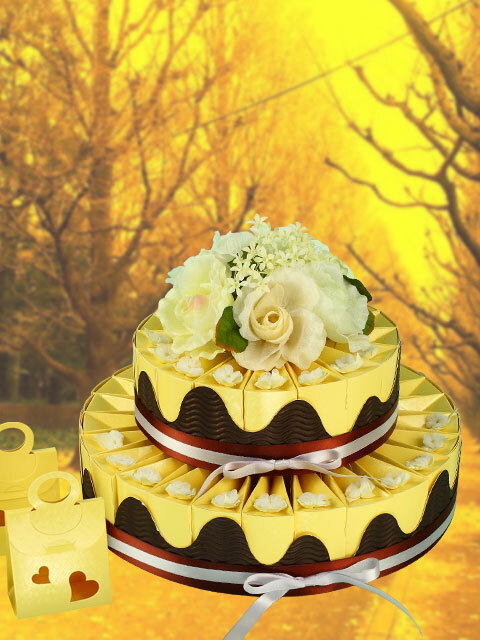 Size: 16" x 16" x 13" 6 tier, single layer serves 166. Size 18" x 18" x 15" 7 tier, single layer serves 210. 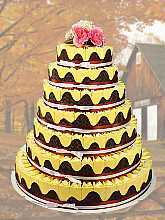 Size: 21" x 21" x 18" 3 tier, double layer serves 154. Size 16" x 16" x 17" 4 tier, double layer serves 230. Size: 18" x 18" x 22" 5 tier, double layer serves 318. Size 21" x 21" x 28"
• The assembled cakes also come with Jordan Almonds.